In our ongoing search for unique engine swaps, here’s one we almost walked right past. At the November 1st 2012 Cobb Tuning First Thursday event in Austin Texas, we spotted a very clean early Miata and didn’t pay it any particular attention. 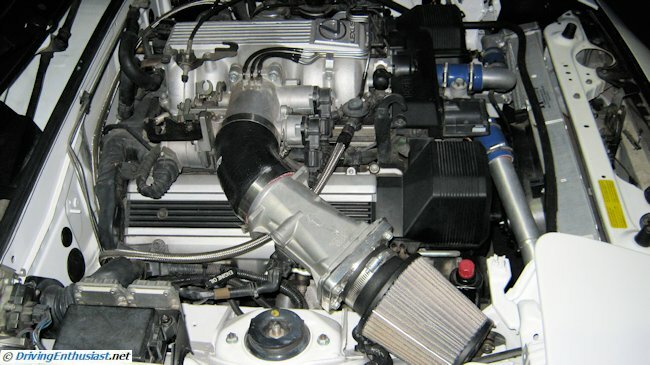 After all, at Cobb Tuning the emphasis is on turbocharged cars with considerably enhanced output. What could just another Miata offer to the attendees? Wrong! With the hood closed, there would be no indication of the swap. 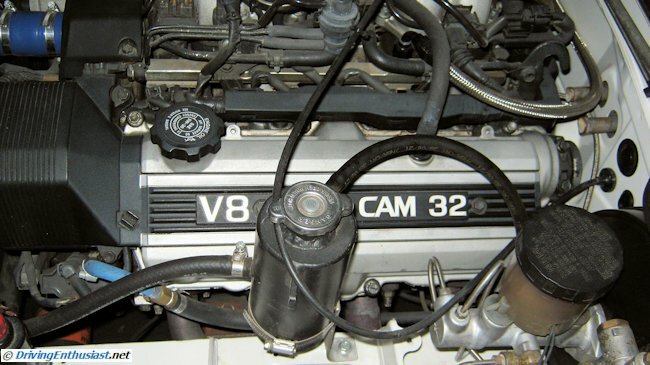 Looking closely, we were surprised to see a V-8 swap – but not the usual Ford or Chevy engines this time. 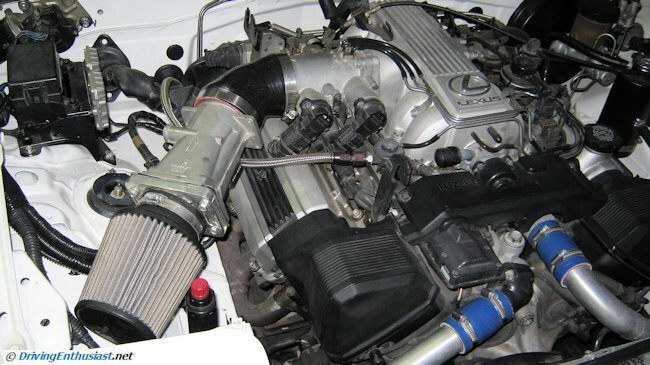 Meet the Toyota 1UZ-FE engine swap: an all aluminum 4-liter DOHC V-8 used in Toyota and Lexus luxury cars from 1989 thru 2002. And note how well it fits: short, compact, room for headers, and the hood is at stock height. 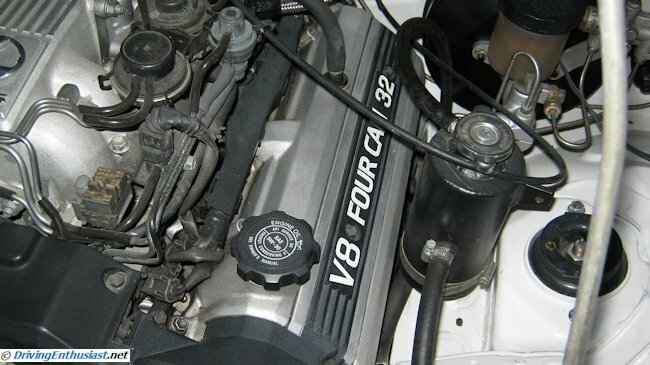 With an oversquare (big bore, short stroke) design, this engine revs well and already has a well-deserved reputation of reliability as delivered by the factory (which in this case, certainly did not foresee this use of their engine). Unfortunately, the owner was nowhere to be found, so we don’t have the full details of the transmission (Toyota Supra 5-speed), and we didn’t see any cutting, but the rest of the swap was terrifically clean. Clearly the car was stripped down to the bone, and painted inside and out. Overall this is probably the cleanest and most professional V-8 Miata swap we’ve seen, and certainly the most interesting. 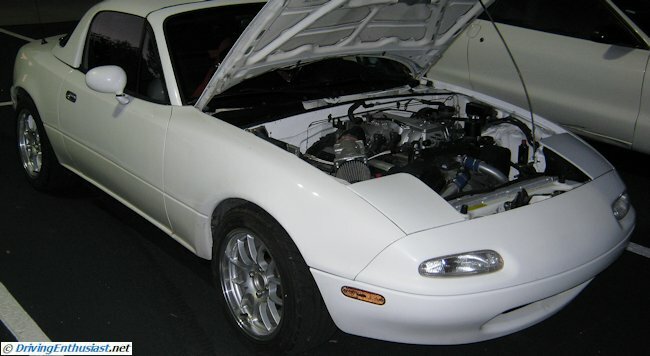 In our humble opinion, V-8 Miatas are becoming a bit common these days, when powered by Ford or Chevy. It’s time to put modern engines into these cars, and the Toyota 1UZ engine appears to be the perfect choice. Note the easy clearance for the brake booster and master cylinder. One less swap issue to be solved. The mass air sensor is present and functional. Like all V-8 Miata swaps, engine air filter element placement is less than ideal. It’s important to route cool air to the filter, and there isn’t much room to put it elsewhere. 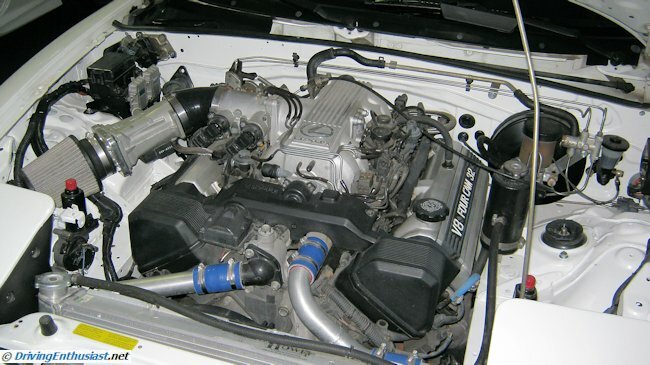 The 1UZ heads are very narrow – far more than the analogous Ford DOHC engine, for example. Note, too, that the heater hoses still need to be connected, but won’t be an issue. One large plug on the engine harness was not used. This is the engine diagnostic port. A tough picture to get, taken at an angle. But clearly the header fit wasn’t very difficult. 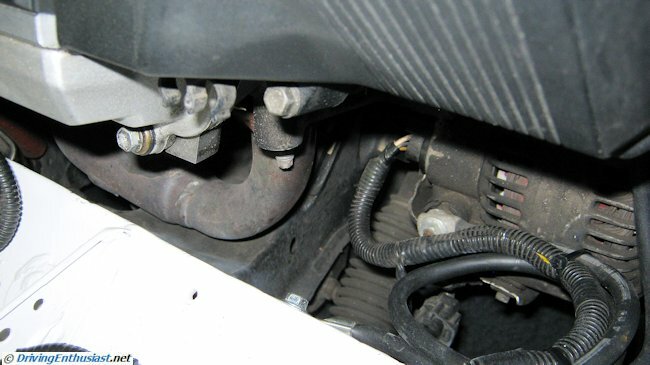 Note the easy clearance for the alternator over the steering rack. The extra-large front radiator is canted back, with a thin electric fan. Use the category tags below to follow our series covering engines swaps, or our series specific to V-8 Miatas.